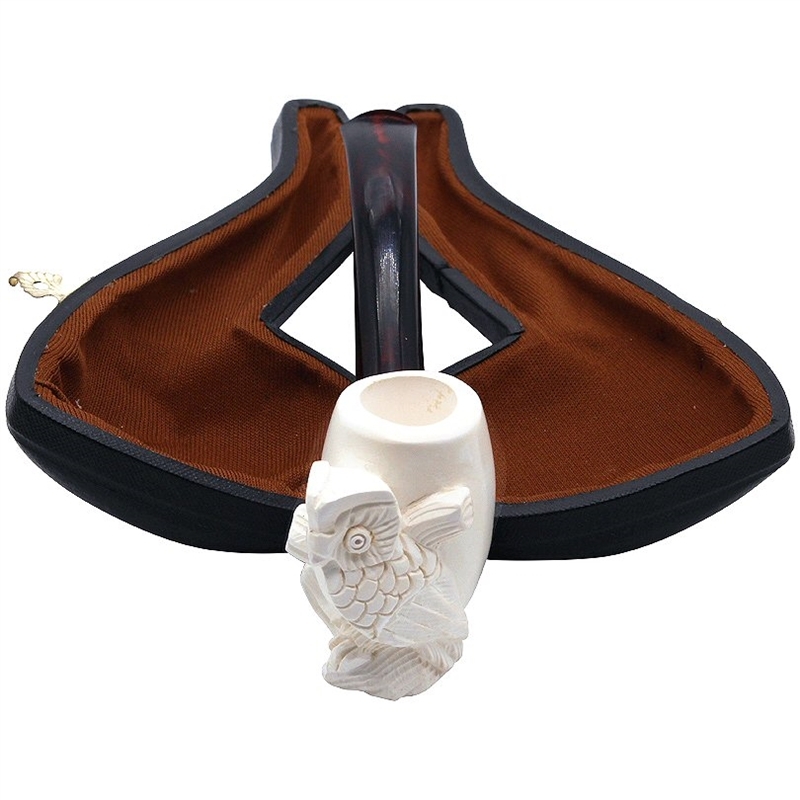 Hand Carved Owl Perched on Smooth Bowl Meerschaum Pipe - A carved full body owl is perched on tree branches carved on the front of a smooth billiard shaped pipe bowl. This pipe was dipped in a special wax formula giving it a bit of a heavier finish. 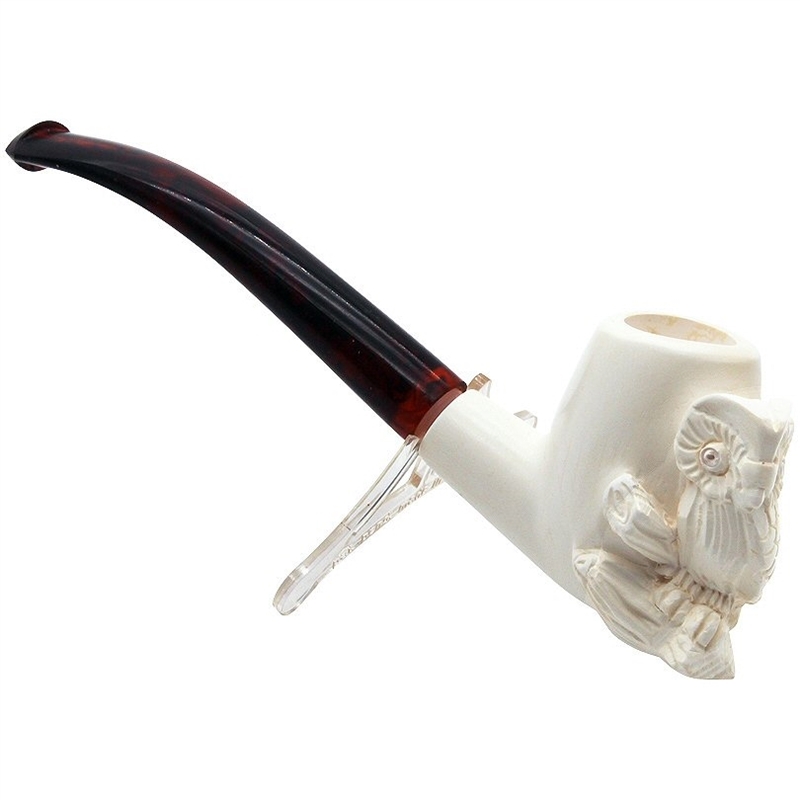 A slightly bent dark translucent stem adds a sleek look to the pipe.